The demand for iron doors is greater than ever, with many homeowners appreciating the classic combination of style and security an iron door. What's the first thing that visitors or clients see when they approach your home or business premises? Does your entrance stand out for all the right reasons, providing an imposing yet inviting doorway to what lies beyond? If your frontage could do with upgrading, iron doors could be an ideal solution. Providing plenty of intriguing visual impact and complementing a wide range of architectural styles, iron front doors not only look impressive, they also have a number of functional advantages as well. 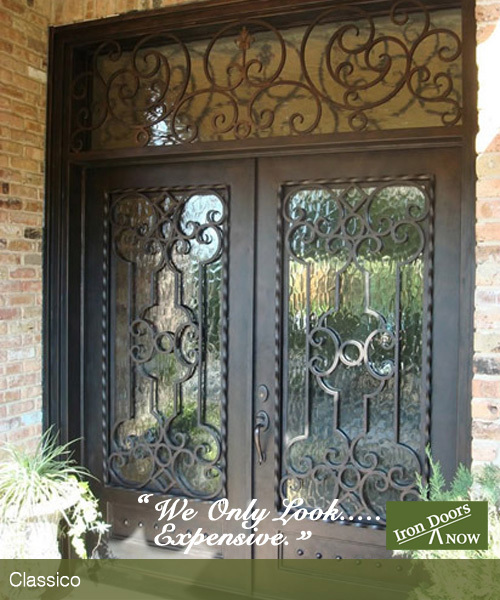 If you need exterior iron doors in a particular size, or want a residential iron door made to your own, unique design, we can help. 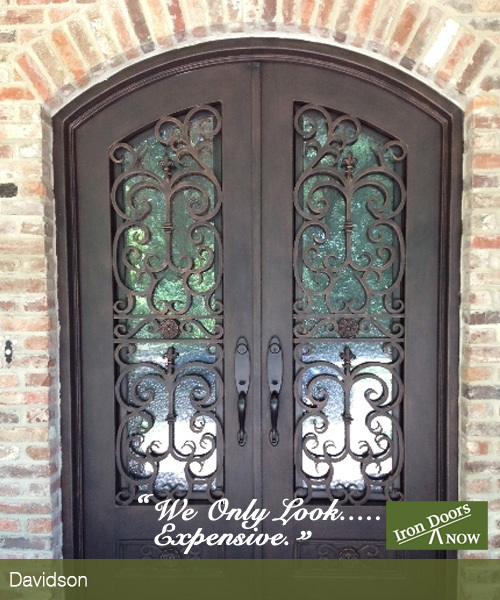 In addition to having a wide selection of iron doors in stock, we are happy to create individual items for clients that want something unique and special. All of our custom iron doors are made with premium grade materials and exemplary attention to detail, by our highly skilled and experienced team. Rigorously tested to ensure they can withstand the toughest weather conditions, wrought iron front doors are manufactured to be resistant to the degrading effects of moisture, chemicals and variations in temperature. Particularly when combined with tough glass panels, a single front door or double iron doors provide robust, weatherproof solutions. The beautifully styled, delicate iron trellis work across our door panels belies its strength, offering excellent security without appearing too intimidating. 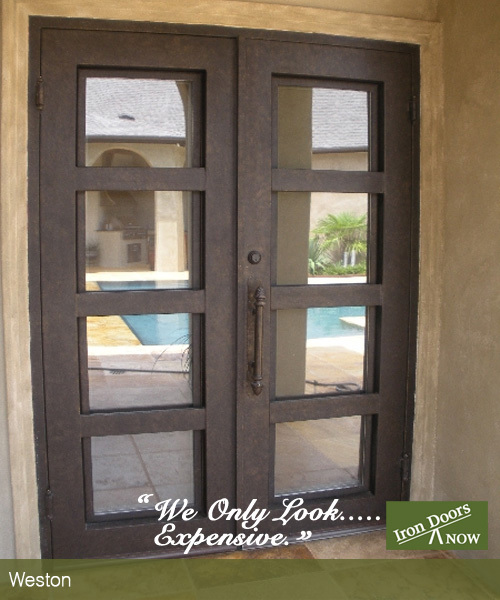 Many customers are amazed by the difference residential iron doors can make to their property. Versatile, robust and beautiful, it's little wonder that a growing number of individuals are deciding on iron doors as the best option. We ensure that every single component of your iron entry door is tested and styled for optimal performance and durability. From compression tested locks to heavy duty ball bearing hinges, every part of the products we produce is fashioned with an exemplary end result in mind. To find out more about our superb collection and obtain a FREE, no obligation quote for your doors, call us now at (877)-325-9855.